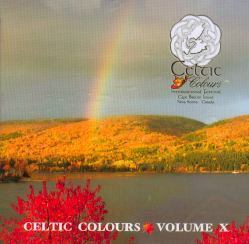 Unlike the first 9 Celtic Colours compilations, which in general presented samplings of studio recordings, this exciting new release is made up entirely of live tracks recorded at the Festival during the perod 1997-2005. There are lots of spirited performances here from both local and international musicians. An Tèid Thu Leam, A Mhàiri?